This article holds information that will eventually be separated into individual articles. The subject of this article is too vast to be covered in one article, but there is not enough information yet for each seperate article. The five basic clay formed objects are; Clay Jug, Clay Vessel, Clay Mold, Clay Bowl, and the Large Clay Vessel. Clay objects are created using an interface similar to knapping. To open this interface, you must right-click with a stack of 5 or more clay. For tool and weapon mold recipes, refer to Clay Tool Molds. Clay items are of no use until they have been fired. 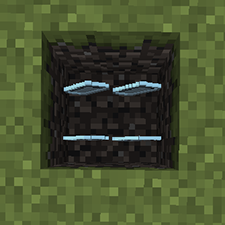 Prior to firing they can be stored in chests or can be placed on top of a block by sneaking (shift) then right-clicking the top of the block with the clay item. Up to four items may be placed this way per block. Where you click on the block determines which corner of that block the item will be placed on. The item will then float above the block and slowly spin, similar to a dropped item. Items placed will not despawn. To retrieve a placed item, sneak and right-click on the corner of the block that the item is floating above. To be useful, clay items must first be "fired" (heated at a high temperature) to turn them into ceramics. Clay items are fired in a pit kiln. To create a pit kiln you need to first collect Straw by breaking tall grass with a knife or scythe. Straw is also a byproduct of refining grains. Dig a 1 deep hole. Place up to 4 items you wish to fire into the hole. Note: Do not throw the pottery into the hole. It must be placed by sneaking (Default: ⇧ Shift) and right-clicking with the pottery in hand. Note: Do not throw the straw into the hole. It must be placed by right-clicking with the straw in hand. Place 8 Logs on top of the straw until the block is full and light it with a Firestarter. Note: Do not throw the logs into the hole. It must be placed by right-clicking with the log in hand. Once the fire finishes burning, you will be able to collect your ceramic items by sneaking and right-clicking on them with an empty hand, or by simply breaking the block to collect all of them at once. Important: The fire burning atop the pit kiln will light nearby flammable blocks on fire. For this reason, it is advised not to light pit kilns in houses made of wood, thatch, or other flammable materials. However, pit kilns will not be put out by rain. Important: The pit kiln will not work as pictured below. These images are in cross section, with the required surrounding blocks removed for visibility. Each time you use a ceramic item there is a chance of it breaking. The percentage is different for each type of item. When the item breaks, it will make a distinct sound. Ceramic items may be placed on top of blocks and retrieved from them in the same manner as described above for unfired clay items. The Ceramic Jug is used to carry water. It can be filled by right-clicking it into a block of standing fresh water. Flowing water, salt water, and hot water from springs will not work. You can drink from a jug of water by holding down the right mouse button, the same as you would when eating food. Drinking will replenish three bars of thirst and completely empty the jug. There is a very small chance that the jug will break on use. The ceramic vessel is one of the most versatile ceramic items. It has many uses; storage, smelting, metallurgy and casting. A Ceramic Vessel can be used to store up to four stacks of items. The items must have a size of small, very small or tiny. To place items into a vessel, right-click with the vessel in hand to open up its GUI. You can use the GUI to transfer items between the vessel and your inventory, in the same manner as you would with a Chest. A Ceramic Vessel with items in it can still be stored in your inventory, in a Chest or placed on the ground, thereby providing increased storage capacity. Note: Food stored inside of a vessel will decay at 50% the normal rate. Note: The Vessel can only smelt ores. If you have turned your metals into ingots, you will need to heat them in a forge to liquefy them, or use a Crucible if you plan on making alloys. A Ceramic Vessel can be used to smelt Native Copper, Tetrahedrite or Malachite ores into pure molten copper metal. To do this, fill the vessel with ore (stacks of different ores may be placed together in the same vessel) and then fire it in a kiln. After the firing, retrieve the vessel from the kiln and right-click it to open up its GUI. You will see that now instead of the usual four slots the vessel has only one and contains text describing the amount of metal it contains. 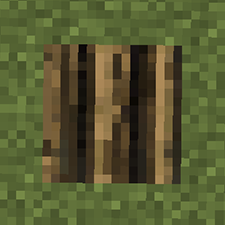 This metal will remain liquid for about 10 Minecraft hours, starting after the firing completes. If the metal inside solidifies, you must fire it in a pit kiln again to re-melt it. Note: Vessels with molten metal inside will have a white, "Liquid" tooltip on them. Once the metal has been completely drained from a vessel its GUI will revert to the normal four slots for storage the next time you open it. A vessel containing molten metal can be placed or stored like a normal vessel. A Ceramic Vessel can also be used to create Bronze, Black Bronze and Bismuth Bronze. Before Firing: Place the necessary ores into a Ceramic Vessel, in the proper proportions for the desired type of bronze. For example, if you wanted to create normal Bronze then you would put copper ore (any combination of Native Copper, Malachite or Tetrahedrite) and Cassiterite into the vessel. For each alloy there is a range of proportions which will produce the desired alloy so you don't have to hit an exact percentage, just be within the range. After Firing: If you got the proportions right then when you right-click the vessel it will open up the same single-slot GUI as described above for smelting pure ores. You can then transfer the molten bronze metal to a Ceramic Mold in the same way. If you got the proportions wrong then when you right-click the vessel you'll get the four-slot storage GUI showing the raw ores still sitting in the vessel, unchanged. Ceramic tool and weapon molds can be filled directly from a vessel containg Copper, Bronze, Black Bronze or Bismuth Bronze. All the recipes for tool and weapon molds can be found at the Clay Tool Molds page. Place an empty or partially filled Ceramic Tool, Weapon, or Ingot Mold into the slot to fill it with metal from the vessel. It takes 100 units of metal to completely fill an empty Ceramic Mold. The text in the vessel's GUI will be updated to show the amount of metal remaining in the vessel. Ceramic Molds can be used to transfer molten metal from a Ceramic Vessel to a ceramic tool or weapon mold, and to create Ingots. While the full ceramic mold is at liquid temperature, right click with it in your hand to open the casting GUI. You will see an arrow with one slot to its left and two to its right. The leftmost slot will contain the filled mold. Place a single empty tool or weapon mold into the first slot on the right to begin the transfer. Once the transfer is complete the tool mold will move into the output slot and will show itself filled with metal. Retrieve the filled tool mold and the now-empty Ceramic Mold from the slots on the left. There is a chance that the Ceramic Ingot Mold will be broken and lost during this process. Once the mold is full, place it into your crafting area and retrieve the finished tool or weapon head from the output. The mold will be destroyed in the process. The casting interface can also be used to combine partially filled liquid unshaped metals. While both partially filled molds are at liquid temperature, right click with one in your hand to open the casting GUI. 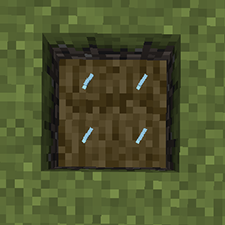 You will see an arrow with one slot to its left and two to its right. The leftmost slot will contain the clicked partially filled mold. Place the second partially filled mold into the first slot on the right to begin the transfer. If the combination of the two partially filled molds contains more units than a single mold can hold, the transfer will simply stop when the second mold is full, leaving any remaining metal in the first mold. A Ceramic Mold which is filled with metal can also be used to create an ingot. Simply place the filled mold in your crafting area and retrieve the ingot from the output. The empty mold will be returned to your inventory although there is a chance of it breaking and being lost. Creating an ingot in this way will only work if the metal is in a solid state. The temperature will be carried over from the unshaped ingot temperature. The number of hours that the pit kiln should burn before being completed. This page was last modified on 9 June 2015, at 03:20.